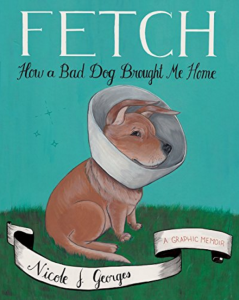 Fetch: How a Bad Dog Brought Me Home by Nicole J. Georges – In this memoir, Nicole Georges brings readers into her life with Beija, the shar-pei/corgi mix that was her constant companion from her teenage years to her early 30’s. Though Beija has a number of difficult behaviors, including a deep distrust of most people, Georges is devoted to her through relationships of various length and successfulness, multiple moves, and her own bouts of depression. Georges does not sugarcoat either Beija’s behavior or her own life, which means that this memoir offers a very realistic picture of their relationship. Older teens who love animals will likely find this a compelling read. 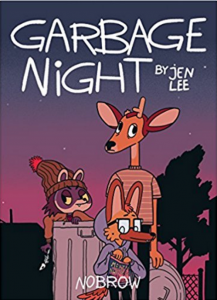 Garbage Night by Jen Lee – Set in a dystopic world where animals have been left alone in a community that has been abandoned by humans, Garbage Night follows a dog (Simon), a raccoon (Cliff), and a deer (Reynard) as they struggle to stay alive in a world with an ever decreasing food supply. When a strange dog named Barnaby appears and tells them of a nearby town where humans still live and food is therefore still plentiful, the trio agrees to follow him on his quest to find this paradise. But, the trip is more dangerous and challenging than expected and their relationships are tested. Despite this dark backdrop, at its core, this is a story of friendship and loyalty that feels very real. Lee’s strong artwork complements the story and will keep readers engaged. 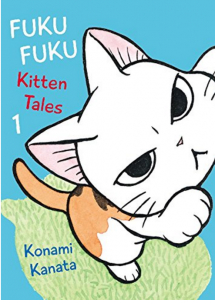 FukuFuku Kitten Tales by Konami Kanata – This collection of standalone stories about a little kitten named FukuFuku and the older woman who owns her offers an adorable look at life with a rambunctious kitten. Told mostly through illustrations punctuated by sound effects, many of the stories will be relatable to cat owners, and even if you’ve never had a cat, you’re sure to fall in love with FukuFuku’s antics. If you enjoy this manga, you might also want to check out Kanata’s other cat manga, Chi’s Sweet Home, which is probably even more famous than FukuFuku Kitten Tales. The Great Pet Escape by Victoria Jamieson – Victoria Jamieson, who some readers might remember for Roller Girl and All’s Faire in Middle School, wrote an adorable story about some classroom pets set on escaping from their cages to resume their lives of crime and adventure. The group includes a hamster, a bunny, and a Guinea pig, who have known each other for ages before they find themselves trapped as the classroom pets of several classes of elementary school kids. 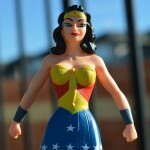 Their ringleader, GW, can’t let this stand, so he devises an elaborate plan to free them. But, when they are confronted by a mouse with an evil plan, will they abandon the school or stay to save the children? 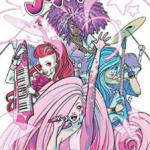 This comic is definitely aimed at younger audiences, but its humor and cute artwork will give it wider appeal, particularly for those who love animals or Jamieson’s work. Our Cats Are More Famous Than Us: A Johnny Wander Collection by Ananth Hirsh and Yuko Ota – From the authors of Lucky Penny and the new webcomic Barbarous, this collection is taken from their autobiographical online comics gathered over many years. It focuses on Ananth and Yuko’s lives with their roommates across several apartments and cities. Though not at the very center of the story, their cats Rook and Cricket, as well as the cats that they meet in other settings, are an important piece of the comics earning their place in the title of this collection. This is a fun read for both cat fans and those interested in autobiographical peeks into the life of young comic creators. 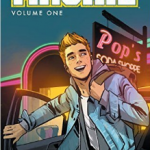 Given Ananth and Yuko’s age during the comic (and a couple of instances of slightly mature content), this comic will appeal more to older teens than young teens. Animosity Vol. 1: The Wake by Marguerite Bennett with art by Rafael De Latorre – For a very different take on pets that is perfect for any action or horror fan, try Animosity. This series is set in a world where all animals suddenly gained a human type of consciousness (including the ability to speak) at a single moment in time. Along with this consciousness came not only consciences for each animal, but also a very human approach to their relationships with both humans and other animals. Unsurprisingly, this sudden occurrence leads to conflict between humans and animals and even between different groups of animals who have taken more or less militaristic approaches to their interactions with humans. Sandor, a Bloodhound, and Jesse, the 11-year old girl who loves him, are thrust into this world and the story revolves around Sandor’s efforts to protect Jesse at all costs. Told through flashbacks and time jumps, this story packs an emotional punch and will make many readers think about animals in a very different way. The level of violence in the story may make it a bit scary for younger readers, but older teens who enjoy intense stories with action and horror elements will enjoy it. 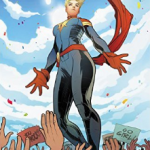 Whether you are a pet owner or just an animal lover, this list should have the perfect comic for you, but I’m sure there are lots more I haven’t read. What are your favorite pet comics? Let us know in the comments! Previous Post #QP2018 Nominees Round Up: More Fiction! 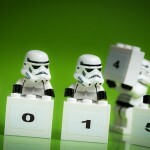 Next Post We’re looking for a few more selected lists bloggers!